Even with the best technology and methods implemented within a Mobile App it shall still be deemed a failure if it the user does not experience it to his communication standards. The success of mobile apps have to share their credibility to the simplification and concise experience it delivers to the user who receives it to his intuitive levels. User experience isn’t just limited to the User Interface as witnessed through the app screen but via various other modes especially in this emerging world of new technologies. 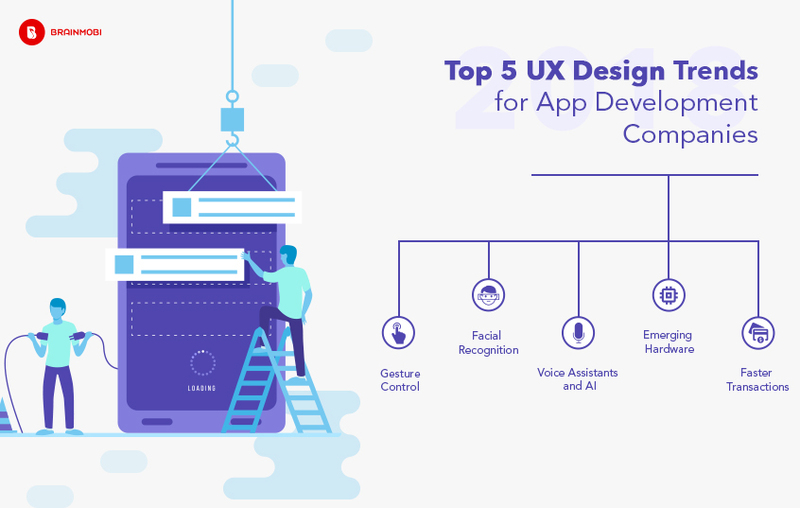 Being one of the top mobile app development companies, in this blog we shall explain to you a little about the upcoming trends in User experience any top mobile app development company should be able to deliver. Gesture Control saves a lot of screen space.It gives a smooth and quicker flow especially when your mobile app screen is doing some kind of customizing task. UI with buttons require more and more screens and is a rather bulky process compared to a mobile app screen with several elements which is integrated with motion gesture. When added in bulk of several devices, it unknowingly adds to a great power saving advantage too. Keeping Cloud computing and IOT into the picture Facial Recognition is now a security feature that can be implemented into many verticals. 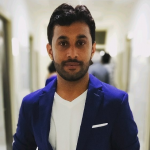 Facial identity incorporated as data along with other pointers of identity shall enable the quickest version of security in various verticals. Amazon has started testing this out in its automated stores where security cameras were integrated it into the POS system which in turn concludes all transactional procedures from the perspective of security. This is proving to be a contributing factor in Beacon apps. Smart Facial recognition technology is also a security tool that is being tested in formal places like offices and other exclusive zones so as to fetch out other subtle forms of identity like facebook and linkedin profiles. These are quick and small security formalities which are possible in the first place because of smart facial recognition features. Voice assistants and anything aiding to hand free functionality of a smart phone would not be possible without hardware add-ons. Smartwatches, headsets and smart glasses are inclusions that shall make your smartphones screen reserved for better purposes like photography, videos, info graphics, shopping etc and not just viewing random offers you are not interested in. Wearable’s like immersive goggles are expected to create a new wave of art and several 3D production studios are counting on that. The Latest payment gateway of Apple iPhoneX uses this feature and lets you use your Face as an ID to complete your payment without any effort whatsoever on the part of the user. Here at BrainMobi we are updated with the all the technology ingredients that are need to craft such an experience. UI/UX is a crucial face in the field of Mobile App development and our designers love to brainstorm in that field. If you have an idea for mobile app, feel free to write to us at sales@brainmobi.com. Nice post… keep us updating with new and upcoming trends.